A successful home purchase or sale nearly always starts with a good agent or broker. Real estate is a complex and continually changing business, and Dallas agents and brokers are trained and educated in its many rules, regulations and standards. They have the inside scoop on different Dallas, TX neighborhoods and areas and know what constitutes a fair price in the market. Hiring a pro in Dallas, TX also means you won’t have to deal directly with the prospective buyers or sellers, which may save you some tension. Janelle is an architectural agent specializing in modern design. My business is tailored to the needs of modern enthusiasts all over the world. From Dallas to Dubai, I am able to help my clients buy, sell, or build modern residences. Home owners trust my knowledge in the valuation of their modern home. I am able to sell properties that are modern in design for a premium over what the other houses in the neighborhood are selling for. Alternatively, I help buyers acquire spectacular homes when they are ready to purchase by having the inside track on the best properties before they ever go on the market. 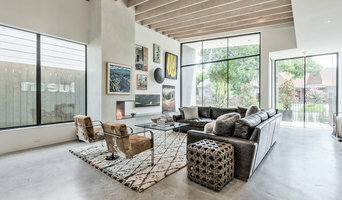 I have relationships with the Dallas architects and builders that specialize in modern and contemporary design and have had great success pairing people with the right team to build their own modern masterpiece. My passion for great design and my enthusiasm for modern architecture have been the driving force behind my success in real estate. Exceptional Boutique Luxury Brokerage of Premier Properties | Serving Dallas' Upscale Neighborhoods and Discerning Buyers | Listening - Understanding - Executing | Experience the difference. Providing extraordinary real estate services with integrity, knowledge, perseverance and kindness. When you think of moving, please call me to discuss your options. I welcome the opportunity to exceed your expectations. Services provided...All residential sales services: Buyer Representation, Relocation Services, Listing, Condominium Sales, Staging, Marketing, Market Statistics, and many others. Our Client-First Philosophy There are many qualities and skills that go into being an excellent real estate professional - integrity, in-depth community and market knowledge, marketing savvy, effective negotiation skills and a high-quality professional network, all of which are hallmarks of how we work. We've also found that providing the very best service is essentially about putting our clients first. This means keeping ourselves accessible, being good listeners as well as good communicators, and responding quickly to your needs. This "client first" philosophy has always been our approach and it requires us to continually improve our skills and ways of doing business. In addition, we've found that the latest technologies are enabling us to do everything we've always done, only much more quickly and efficiently. They've also helped us to extend the range of services we provide to our clients. Our goal is to utilize evidence-based practices in our real estate services. This means our effort is focussed on implementing the techniques that work the best in buying and selling homes. We invest our time as well as our funds in attending local, regional, and national continuing education. We also utilize a personal coach to hold us accountable and to implement new techniques in servicing our clients. Education Sherrill:BS Elementary Education Micah:BS Sociology MS Organizational & Human Resource Development We have over ten years of experience in everything Real Estate and we love it! Cheryl and Roscoe bring a new dimension to the entire residential home buying and selling process. With Roscoe's 33 years in construction and a keen eye for quality, detail and maintenance issues, he helps clients during the buying and selling of their homes. Cheryl's 35 years as a successful Realtor are based on a rare ability to consult, listen & deliver results. Her connections extend beyond her lifelong Tarrant County residency to a national network of RE/MAX agents who trust and refer their clients to her regularly. All this leads to a relationship based on trust, honesty, and integrity. If you share these values and sincerely seek successful results, contact this dedicated team now! Doug Shanahan, Real Estate Man DFW, will use his energy, resourcefulness and dedication to excellence in bringing you unparalleled real estate services. Buyers and sellers will appreciate his perseverance, personal touch and vast real estate knowledge. Doug also has experience fixing up homes to help clients get top dollar. Ask about our free staging report! I am an Associate Broker at Clay Stapp+Co, a boutique real estate firm, located in the M-Streets of Dallas. Experienced in everything from first time buyers to buyers with growing families to selling new construction homes, townhomes & condos for builders in Dallas. I work all over DFW, but primarily Lakewood & M-Streets, Midway Hollow, Uptown, Lake Highlands, Oaklawn, Highland Park, University Park and the surrounding areas. I want to be your Realtor for life and I am fully committed to making your real estate experience a great one! Joseph Garcia is a proud native Texan, born in Lubbock, raised in San Antonio and loving Dallas. Joseph has more than 16 years experience in Real Estate starting with Property Management for Alliance Residential in 2001. He became a Realtor in 2007 and has experience with Apartment Locating, Leasing, and Sales for Residential and Commerical Real Estate. Joseph has a passion for helping individuals and families find their dream home and the Lifestyle they want! Clients love Joseph’s outgoing personality and know that “Jojo Sells” with his aggressive social media expertise. No transaction is too difficult and Joseph prides himself in going above and beyond to assure you find the perfect match for personal or investment properties. He has an extensive network of Real Estate professionals in Sales, Leasing, Lending, Home Inspection, Home Repair and Title to make every transaction seamless. 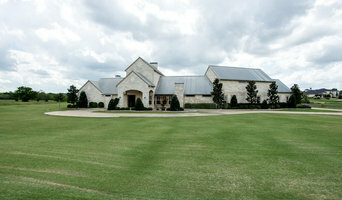 No property is too big or too small to warrant his experience in North Texas Real Estate. He has his Certified Luxury Home Marketing Specialist (CLHMS) Designation from the Institute for Luxury Home Marketing and he has a Global Elite Certification which provides access to a Global Real Estate Network. Joseph completed the Metrotex Leadership Academy class of 24 and immediately after served as a ROC to mentor the Medical / Sports day of class 25. In 2015 he partnered with 5 other individuals to create and serve as the Marketing Chair for the Non-Profit Gay And Lesbian Organization of Real Estate (GALORE) to address unique Real Estate issues facing the Gay and Lesbian community. Joseph is a member of the National Association of Hispanic Real Estate Professionals (NAHREP), as well as Young Professionals Network (YPN) & Metrotex Leadership Alumni. As the Sales Director for the Dallas Vivo Uptown Office Joseph has the unique opportunity to share his vast Real Estate experience by coaching and mentoring new agents. Jeff Duffey & Associates is boutique residential real estate firm located in Dallas, TX. The Firm has successfully represented Buyers and Sellers for more than a decade and its agents have received numerous local and national accolades for their success and superior service. Jeff Duffey, The Firm's broker and owner, is frequently sought after by real estate media experts across the country and has been quoted in numerous real estate related magazine, newspaper, and online articles. In addition to utilizing the latest in technology and innovative marketing techniques, Jeff Duffey & Associates maintains a high level of professionalism and demands excellence throughout each and every transaction. Earning the client's trust is of the utmost importance and this is reflected by the fact that approximately 98% of the The Firm's clients are repeat clients or were referred to The Firm by a satisfied past client. Jeff and his team of highly successful associates specialize in all price ranges and areas across North Texas including: Highland Park, University Park, Preston Hollow, North Dallas, Lakewood, M-Streets, Lake Highlands, Uptown, Oaklawn, Downtown, Richardson, Plano, Allen, Frisco, McKinney, Coppell, Colleyville, and Westlake. For over 20 years, I’ve helped buyers and sellers achieve their real estate goals. I was a CPA for 11 years, have an MBA, and am a long-time property owner and investor. I’ve flipped over 30 houses, completed ground-up construction and have owned a dozen rental properties. I have a proven track record of finding the ideal matches for my clients. For buyers, I find the right fit and am a determined negotiator to finalize the best deal. For sellers, I aggressively market and show their listings, obtaining maximum interest from potential buyers. Please contact me if you’d like to connect about DFWreal estate! Refined Realty is a unique Real Estate Firm, the Broker, Owner Donna Parker is a Native of Dallas, Texas, has worked in the major surrounding areas, and suburbs including Highland Park, University Park, Plano, Allen, Frisco, & McKinney. Donna has a Degree & Love for Design that creates a very fun experience, as well as an expert eye when touring a potential home with a Client, or assisting a Seller with a "Make Ready for Market" prior to the Listing going Public. Donna's goals have never changed, she is always tracking the best possible places to live, providing extensive knowledge of the market, professional skills, and unsurpassed Client satisfaction ..... these goals have elevated her to the top echelon of Realtor's in the Dallas Metro Area. Providing Clients with the best possible personal service, and lending expertise to help them achieve the dream of home ownership is an everyday goal at Refined Realty in Dallas, Texas.